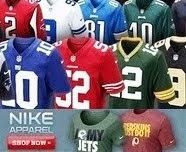 What would the world of sports be without a little scandal? Why, just sports of course. And as we all know, those can be boring. On Tuesday, Petrino's deceit about a motorcycle accident last week which led to the discovery of an inappropriate relationship between he and female staff member half his age cost him his head coaching job with the Arkansas Razorbacks, along with the $21 million that remained on his contract. Petrino was originally placed on paid leave after additional details surfaced about the motorcycle crash that left him with four broken ribs and a cracked neck vertebrae. The 51-year-old initially informed the university that he had been alone on the motorcycle at the time of the incident, but the Arkansas State Police report revealed that there was a passenger. Petrino had been riding with former Razorbacks volleyball player Jessica Dorrell, a 25-year-old who is currently the football program's student-athlete development coordinator. Petrino's dismissal was announced Tuesday night by Arkansas director of athletics Jeff Long, the same guy who hired Petrino to take over as Razorbacks coach back in 2008. "Coach Petrino had a lot of opportunities to share with me the nature of their relationship and still didn't," Long said. "I'll leave it at that." During his press conference, Long pointed out that there was no single issue that led to Petrino's dismissal, but that "casting the negative publicity onto our university was one of the more acute factors." "I realize that this decision may not sit well with some Arkansas fans both here and across the nation. I'm certainly concerned. I know we have very passionate fans. I know they are disappointed. I am disappointed." Of course, with Petrino's teams going 21-5 over the last two seasons, reaction among some Razorback faithful is bound to be bitter. But that resentment may be tempered by Long's disclosure that the married coach quickly hired Dorrell on March 28th over 158 other candidates, of which, only 2 were even interviewed, and that Petrino also gave Dorrell a "gift" of $20,000. The bottom line is, Arkansas fans just need to get over it. Bobby Petrino deserved to be fired. Grant you, everything he did has been going on since the dawn of time, but still, he got what he deserved. He totally misled his employer. He also added cheating on his wife and betraying his family in there for good measure. And is anyone actually shocked by this? It's not like we're talking about a guy who had an admirable reputation or something. This is the same clown that quit on the Atlanta Falcons in 2007 when they still had a month's worth of games remaining on their schedule. Honestly, the real story here isn't that Petrino turned out to be exactly what we already suspected, but that such a fine piece of young tail would even give his crusty behind the time of day in the first place. Look at yourself girl. You could have any guy on the planet. Dudes would line up around the block to give you anything you wanted. Regardless of what Petrino offered and or gave you, why would you lower yourself to such a meager standard? Let the record show that I am currently involved in a very meaningful relationship, and the previous line was strictly for the sole purpose of entertaining the readers. Unless she actually calls me. You mean Petrino is nothing more then a perverted old man looking to mess with anything with a heartbeat??? Surrrrely not!!! One of the funnier posts you've done of late Fletch! 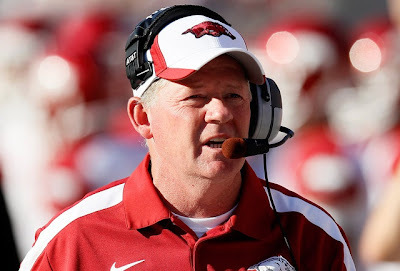 Arkansas should have known what they were getting when they hired Petrino in the first place. A guy with little to no integrity at all. I applaud them for firing him rather than just suspending him or something lame like that.